Purple and Green are perfect reception colors. Whether you choose to use them as linen colors, like our specialty Kiwi and Eggplant Lamour tablecloths (included in Wedding Packages) or just use them as accent colors within your floral arrangements, they work together to create an elegant color combination for any event. 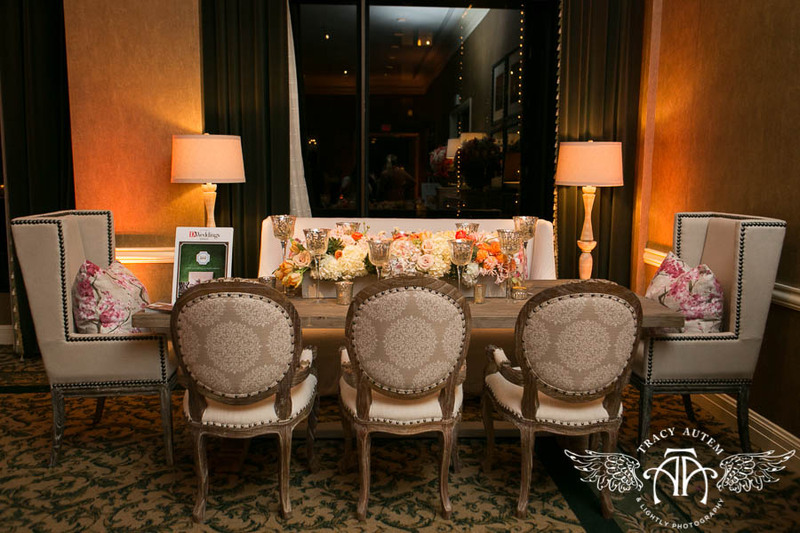 Justine, of Justine’s Flowers, used our lamour linens as accent cocktail table colors and coordinated them with the floral on her main tablescape. Starting with a base of white, she really made the purple and green pop in her modern, yet classic design. 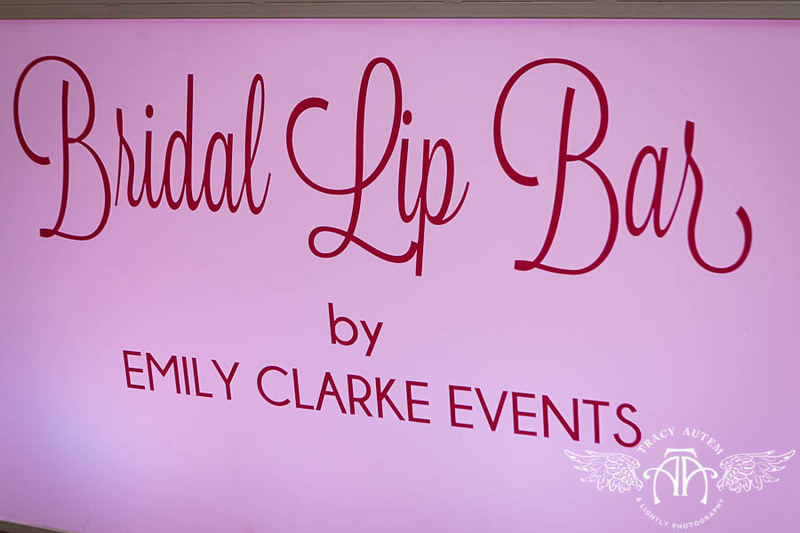 Welcome to another installment of the Bridal Showcase feature posts! We are highlighting one room each day to show off all the talent and design that went into each space. Today’s featured room is the Top of the Town Ballroom and The Annex (connected to the Top of the Town). The Annex was designed by Jan Simus Events, while the Top of the Town featured a dance floor/DJ set-up and lighting by William Ryan with It’s Your Night Entertainment. All photography is provided by Tracy Autem Photography. Newly Engaged? 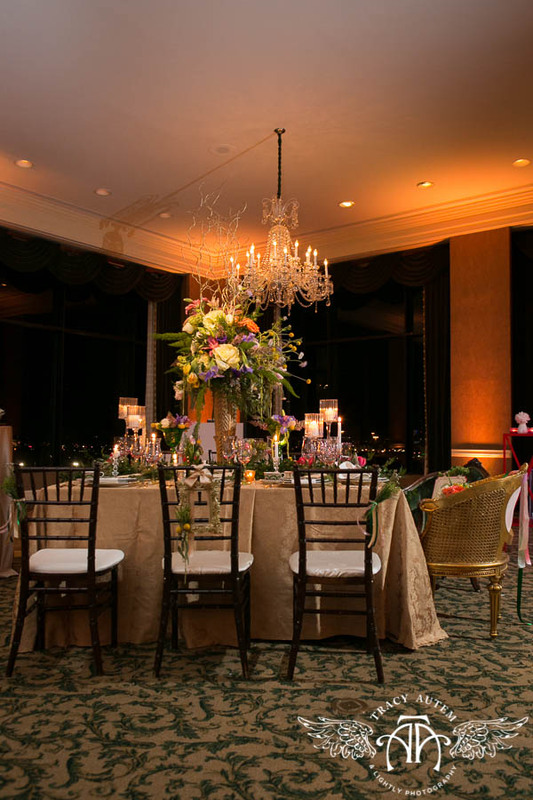 Consider The Fort Worth Club for your Reception! Are you newly engaged, or know someone who is? 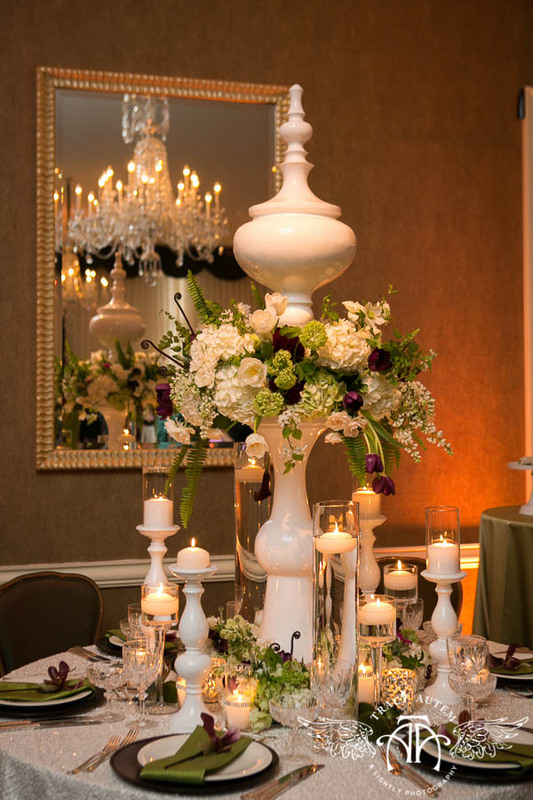 Consider hosting the wedding reception with us here at The Fort Worth Club! With rooms that can accommodate 50-500, we’re sure to have the space you need! Our award winning Chef will create a menu that your guests will talk about for years to come. Plus, our Executive Pastry Chef will provide custom cakes that will be the envy of all other brides. Our package prices include everything you will need in one easy per-person price: all food, a 4 hour bar package, all set-up and service, and your custom cakes! View our wedding packages online here, or call us for more information: 817-338-3489.